Conveniently located in north Longmont. 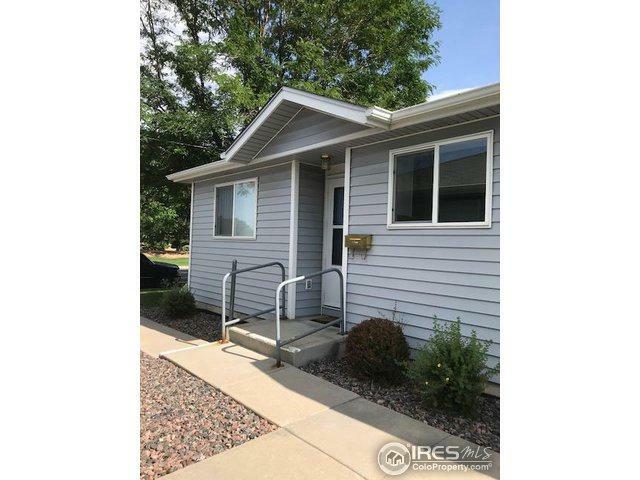 2 bed and 2 1/2 bath with partially finished basement; End unit with 1 car garage just steps from your front door; Upgraded KraftMaid kitchen cabinets, granite counter-tops in kitchen and main floor bathrooms. Glass door to private patio. Refrigerator, dishwasher, stove, washer and dryer included. No snow to shovel or grass to mow as HOA covers that. Listing provided courtesy of Lori Miner of Prime Re Mgmt Services Llc. © 2019 Information and Real Estate Services, LLC. IDX information is provided exclusively for consumers' personal, non-commercial use and may not be used for any purpose other than to identify prospective properties consumers may be interested in purchasing. Information is deemed reliable but is not guaranteed accurate by the MLS or The Lamperes Team | Keller Williams 1st Realty Associates Inc. Data last updated: 2019-04-20T12:37:55.737.